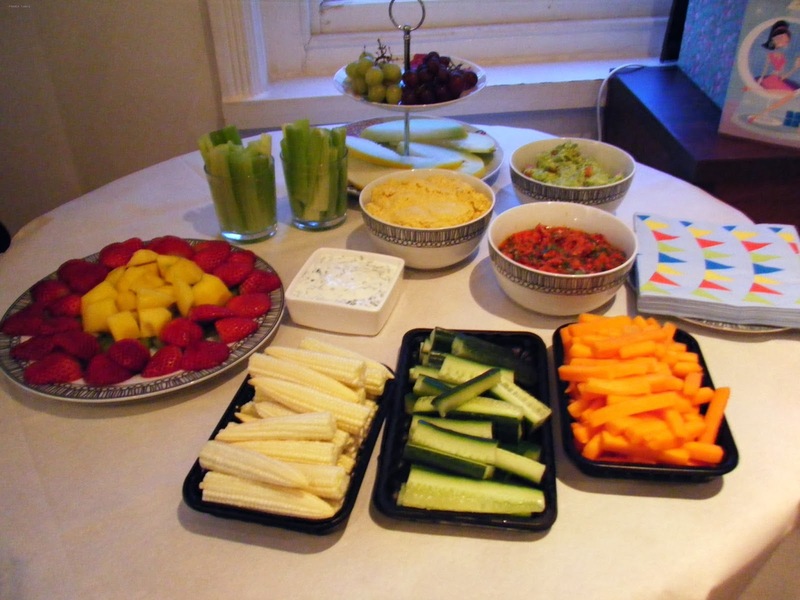 I served simple healthy party snacks when I had a few friends over at the weekend. After the excesses of my birthday celebrations I didn't really want to go for my usual melty cheese and pastry type snacks. 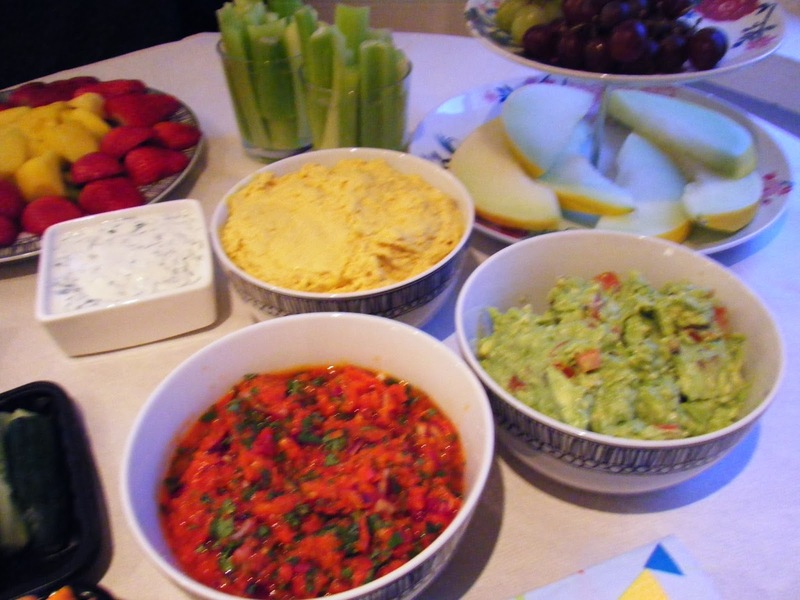 This colourful table of fruits, vegetables and fresh dips went down really well. 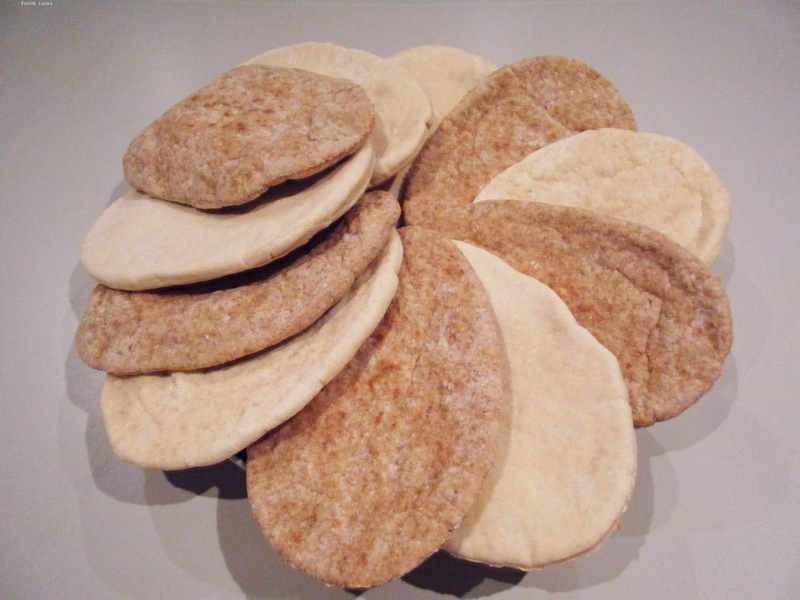 I served three dips and hummus with lots of vegetables, a fresh fruit platter, sushi and later in the evening pita breads and turkey mince with red peppers. The sour cream, salsa and the humus were prepared on the morning of the party, tightly wrapped with cling film and stored n the fridge. I prepared the tomatoes and onions I was adding to the guacamole in advance but I'm fortunate enough to have an open plan kitchen so I was able to make the guacamole up while chatting with my guests. I've heard many tips for preventing the avocados from browning such as serving the guacamole with the stone in it and adding extra lemon juice. 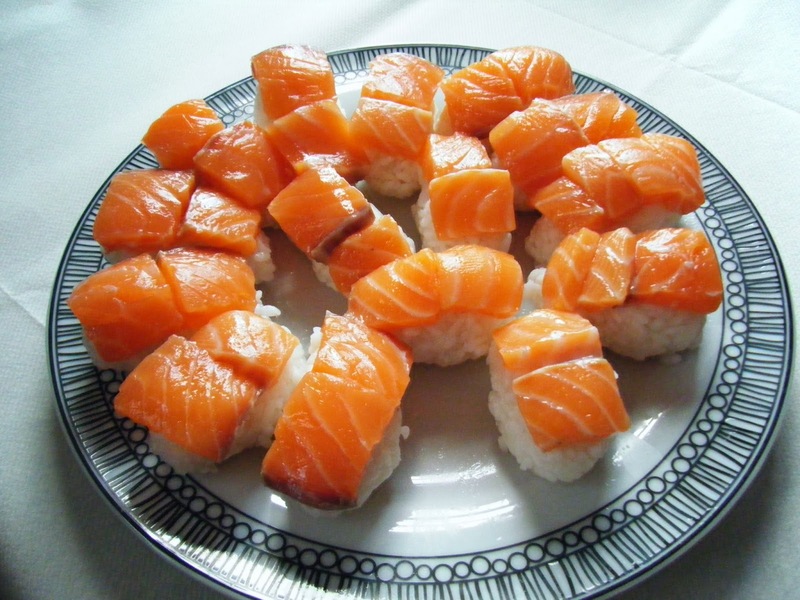 It only takes minutes to make so I prefer to do it while my guests are there as you can't beat that freshness. If you are making your guacamole in advance cover it over with cling film and press it onto the guacamole so that there is no air between the dip and the wrap. 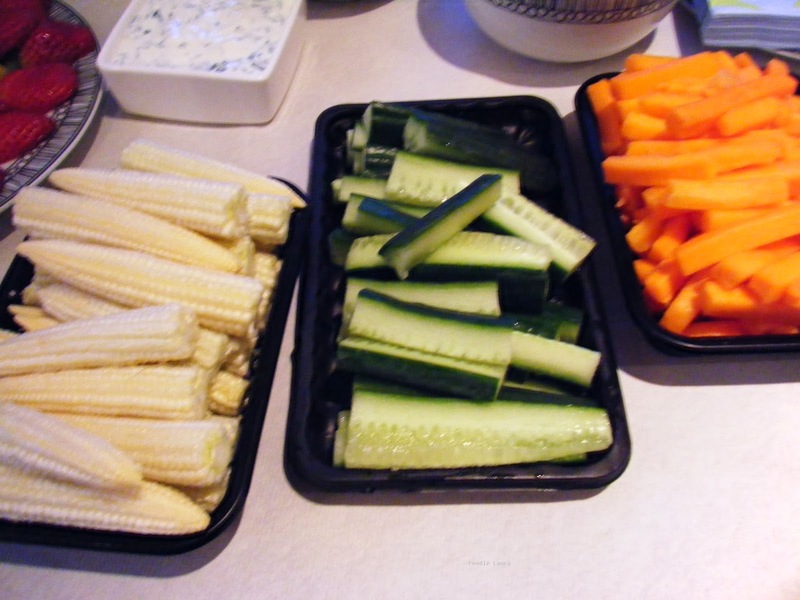 I was able to prepare everything in advance of my guests arriving, slicing all the vegetables does take a little time and they can dry out quickly, combat this by storing the sliced vegetables it in an air tight container with some damp kitchen roll. I did my prep early in the afternoon for guests arriving in the early evening. Don't be tempted to buy pre sliced vegetables, in my experience they are terribly dry and look awful on the table as the edges curl and brown from being so dried up. Another great tip is to serve celery sticks in glasses with a little water in the bottom which prevents them from drying out. They also look great on the table. Serve fruit on a cake stand to give the table another dimension, it looks a bit more interesting and everyone will delve into the grapes. I hung grapes from the top tier of my cake stand and sliced honeydew melon on the bottom. 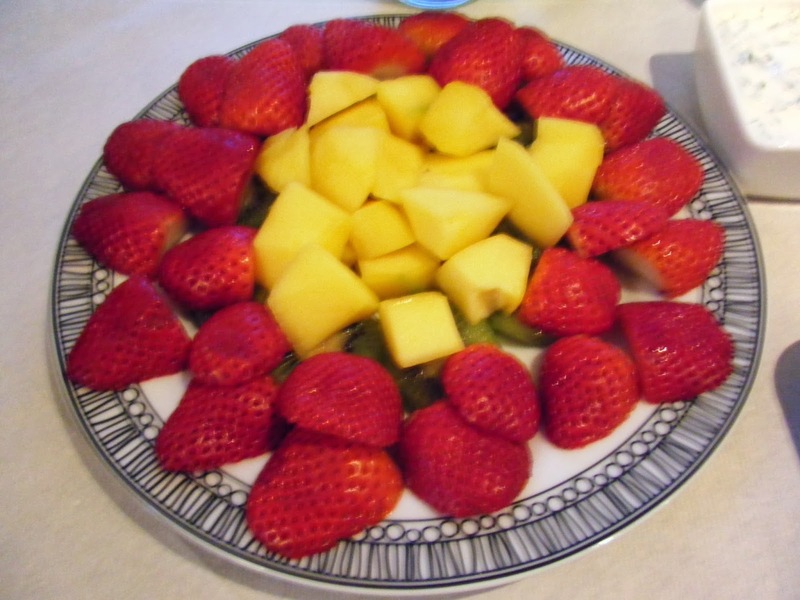 I had wanted to create traffic light fruit kebabs with the strawberries, mango and kiwi but despite cutting the kiwi quite thickly it still split when I tried to but it on the skewers so I decided on a fruit platter served on a large plate instead. 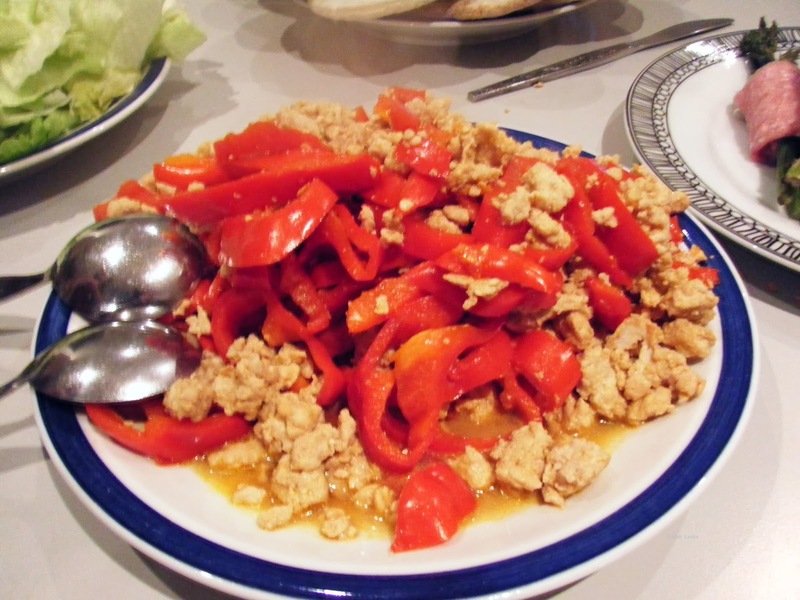 What healthy party foods do you love?